Sometimes I really hate it when I see something I want to photograph and I don't have my SLR with me. I hate it even more when I lug it around and not take a single picture. 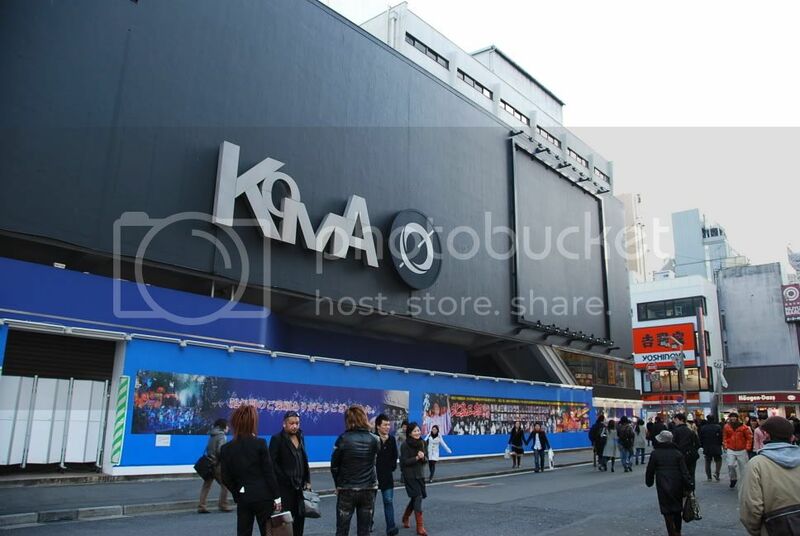 The Koma theatre in Shinjuku is closed, so before they bring in the bulldozers I thought it should be captured for posterity. 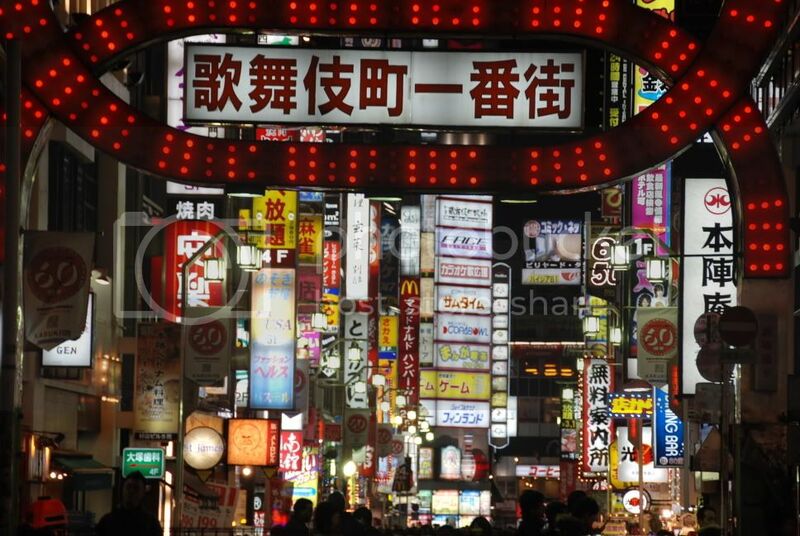 In case anyone doesn't know, this is in Tokyo's poor excuse for a red light district, Kabuki-cho. You want red lights, go to Amsterdam. Anyway, I digress. 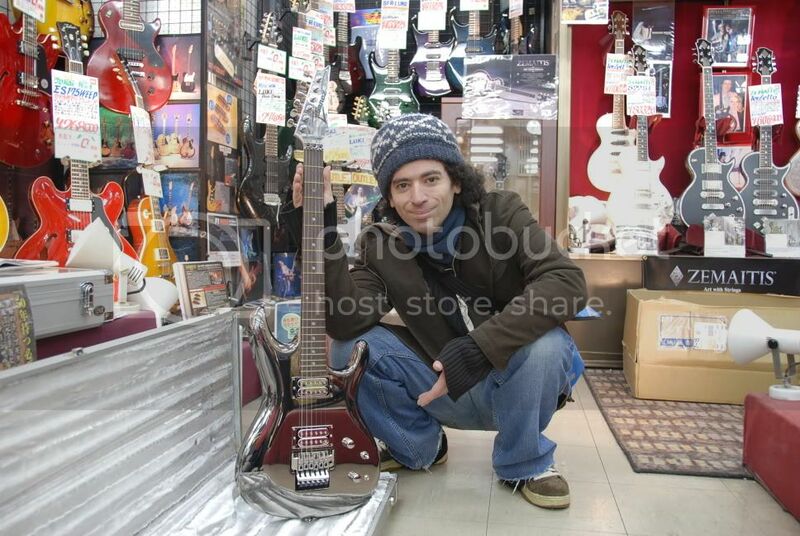 Yesterday I lurked around Shibuya, going into ALL the guitar stores. Highly recommended for eye candy were 246 guitars (used) and Ikebe Gakki. Oh, and don't forget the easiest to find, Ishibashi off Center Gai. Weirdest part of yesterday was a girl falling over as the train stopped, then she slid out the door into a ball outside. I couldn't really help, but thankfully some women went to her aid. 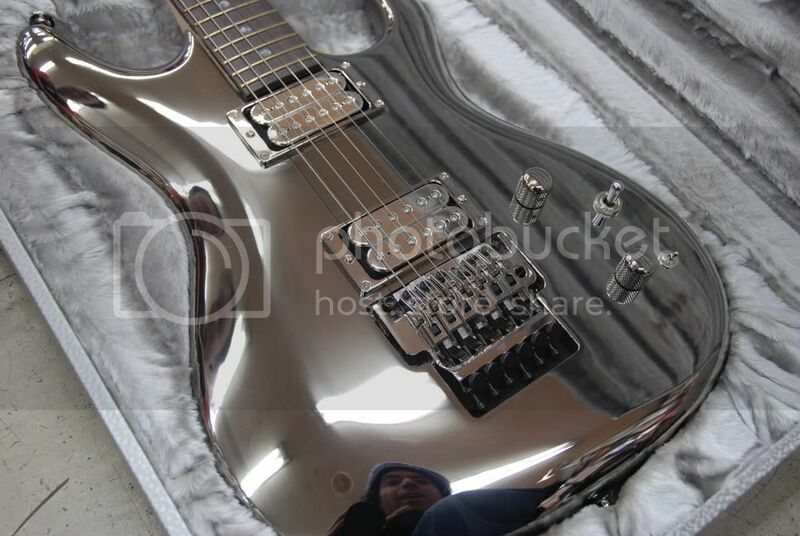 So today continuing the madness I decided to check out all the guitar shops I could find in Shinjuku, with my main intention to see in the flesh, a very rare and coveted chrome-mirrored Joe Satriani Ibanez. 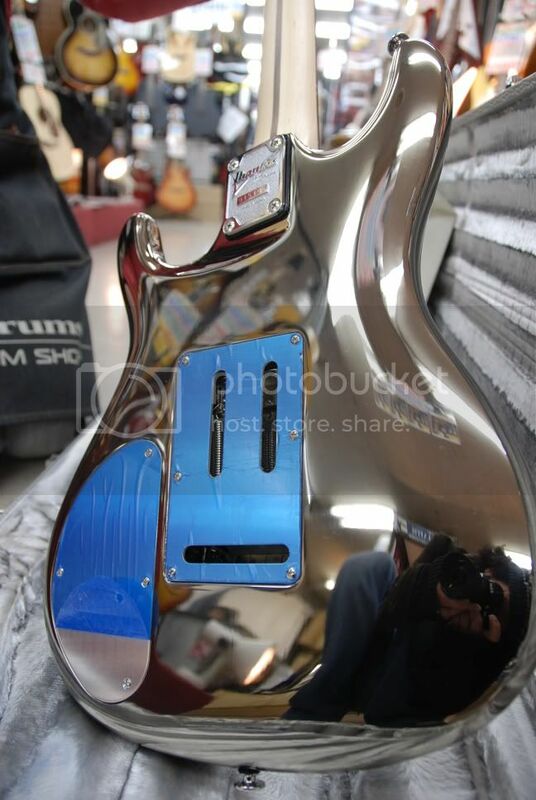 It's really difficult to show off the chrome on this machine in photos. In some of these pics it looks almost black. There was what appeared to be an almost imperceptible light scratch under the bridge, but it was clear that this guitar was a museum piece and not played. 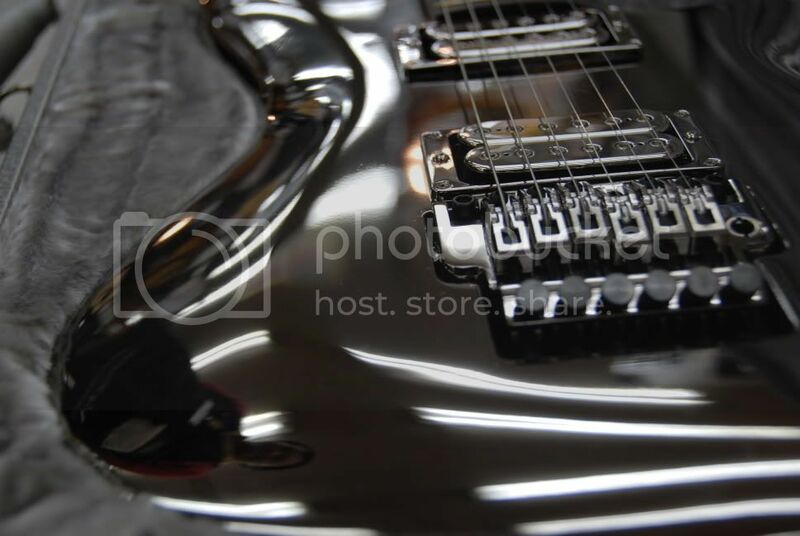 Being in storage, the guitar's frets looked a bit dirty (the guitar shop said that it would be cleaned on sale. It was on consignment). There were some scratches on the bottom of the custom case too. Do I want it? Hell yes! How much? Asking price is 630,000 yen (currently in AU $11,030). Ouch. If I went ahead and bought this, I'm sure my parent's would disown me. So, what else did I photograph today? Along the way into Shinjuku I saw this next to Marusho in Yotsuya Sanchome. Yes, the perverted will see something in this. Linger over the photo for a while to see more. OH! This apparently is some kind of secondhand store. If the predicted Great Kanto earthquake finally hits Tokyo, let's hope all the new buildings look something like this. 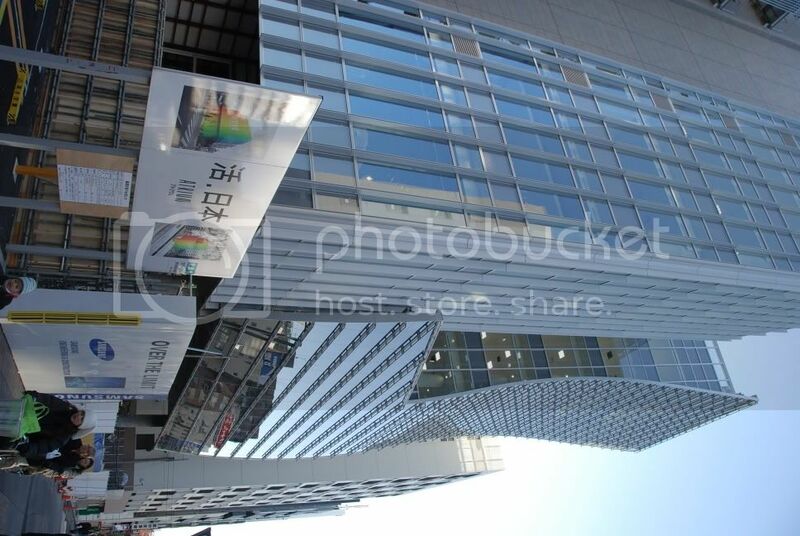 This is the Atrium building being built in Yotsuya Sanchome. Before going home I thought I'd try (again) a Vai Ibanez at the Rock Inn to see if still liked it. (It's a heck of a lot cheaper at 'only' 189,000 yen on sale). Cranked up it sounds sweet. I could get some nice clean sounds too. Tempt. Finally as I was about to go home I had to go to YaMaYa for some more mango juice. I tell myself never to buy food while I'm hungry. 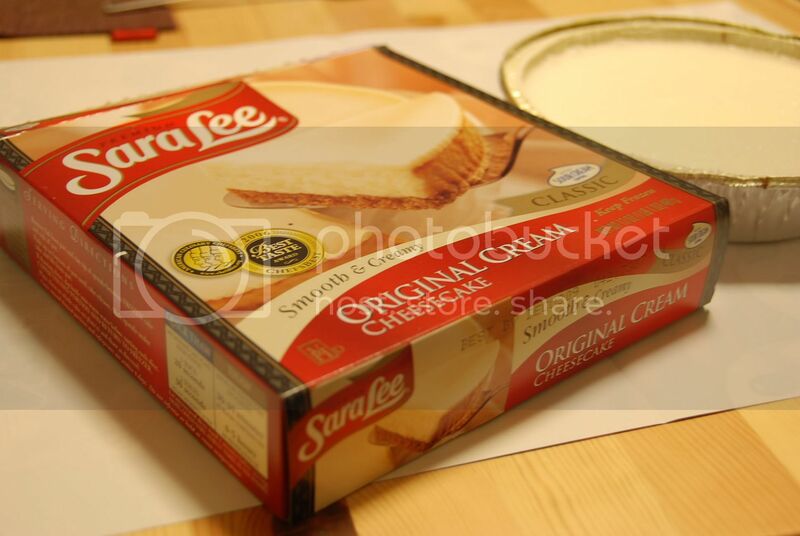 As a consequence I ended up getting some corn chips and a Sara Lee Cheesecake. I'd seen it there before, but after trying a few Japanese-style cheesecakes I wanted the "real" thing. At 1,180 yen, it's a bit expensive for what it is, but I totally forgot to get one when I was in Australia so this is kind of making amends for that. Making amends can never be so sweet. It was oishii! !